The Kenyan flag is based on that of Kenya African National Union and was adopted in December 12, 1963 as the country’s flag. 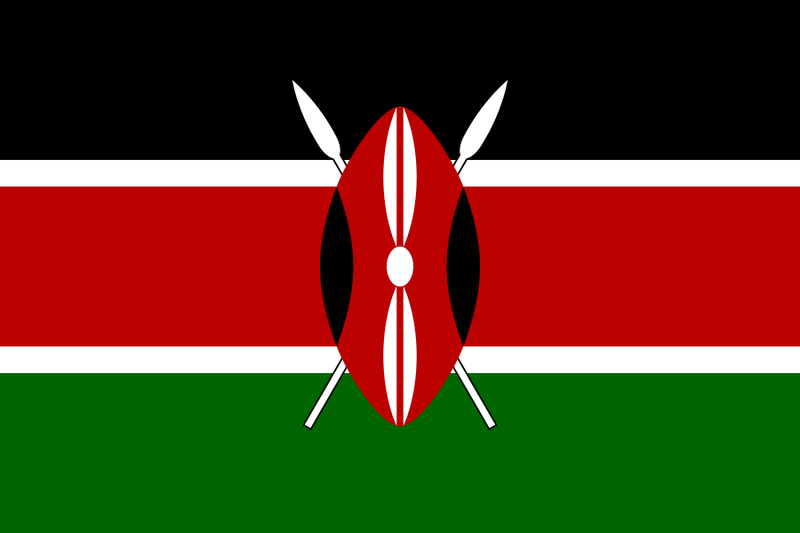 The color black represents the people of the Republic of Kenya, red for the blood shed during the fight for independence, green for the country’s landscape and the white fimbriation was added later to symbolize peace and honesty. The black, red, and white traditional Maasai shield and two spears symbolize the defence of all the things mentioned above.